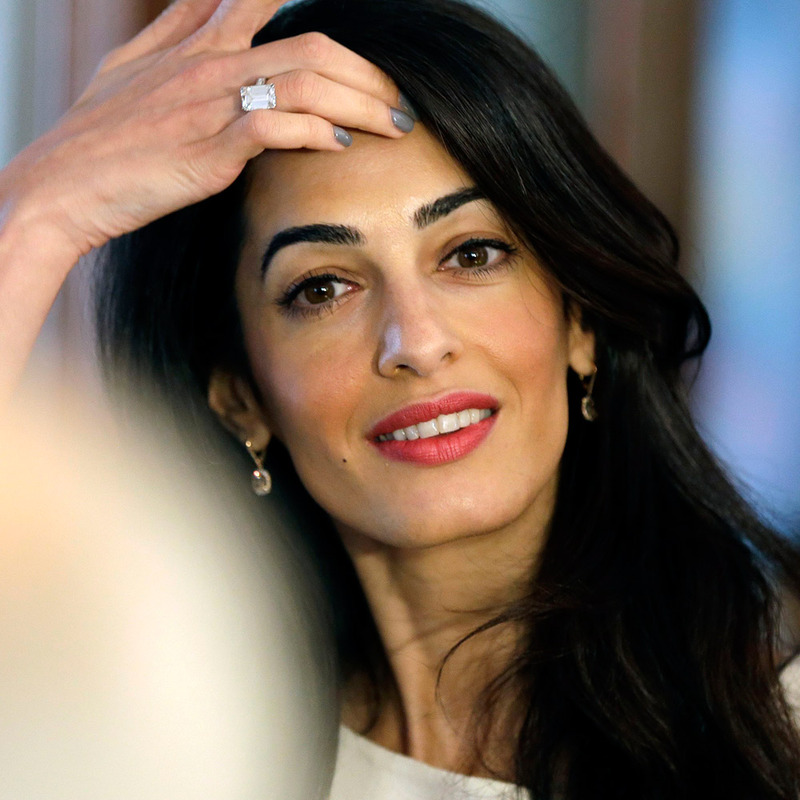 Maggy London has created two dresses inspired by Amal Clooney available now. What do you think about these both dresses ? I think both dresses are beautiful! It’s hard to have a floral pattern that doesn’t make you look matronly but both these dresses are fresh and fun and actually affordable! Love, love, love them…especially the first. I bought a beautiful fit and flare late last summer that looks like a blue water color painting that I haven’t had the chance to wear yet. I hope that look isn’t too young on me. Thanks Nati. 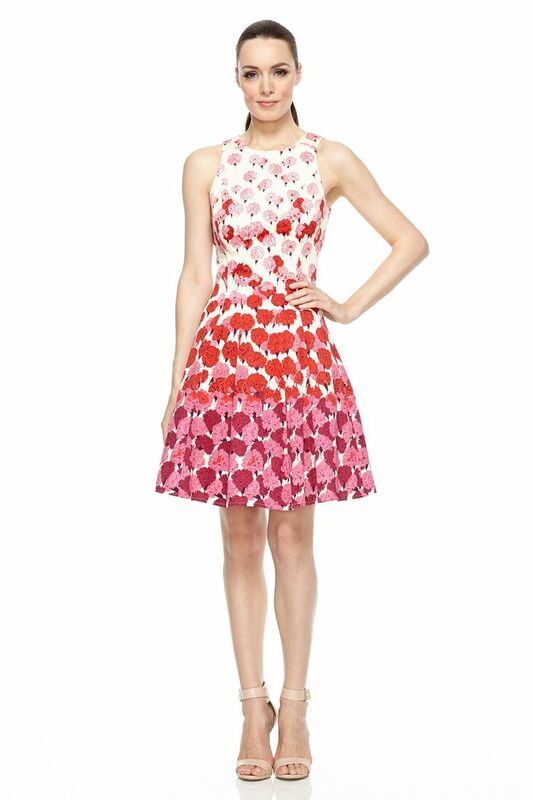 Nobody could ever wear the Amal dress, but the pretty pink flowers would give that flirty feel. 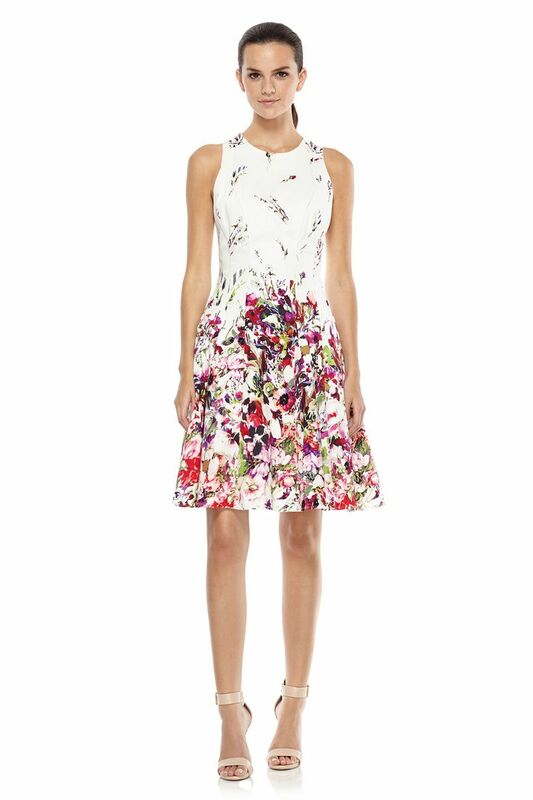 The one I have is called Nine West Glacier Floral. I bought is at Macy’s deep discount for $19 from $98. I think you can get it at 6 pm now. It hits me right above the knee and is so pretty! One of my least favorite looks of Amsal’s. The (original) dress makes it look as though she had no waist. I just bought the first one, it arrived today from MaggyLondon online. I love it! Cant wait for warmer weather so I can wear it. Makes me feel like Amal, glamorous, happy, elegant and comfortable all at the same time. I like both, especially the first one. Both of these look much better than Amal’s dress.